The co-founder of Yandex, Russia's largest search engine, was disconnected from life support on July 27 in London. Arkady Volozh, the other founder of Yandex, announced the sad news on the official company blog on July 28. “The changes in the blood were no longer compatible with life. He had to be given a chance to leave with dignity. The doctors turned him off yesterday, his heart stopped," Volozh wrote. Early reports indicated that Segalovich had died on July 25, following the publication of another blogpost by Volozh. A friend of Segalovich since high school, Volozh was succinct: "Tonight, he left. It all happened too quickly and unexpectedly." It was later revealed that Segalovich, in a coma and brain-dead since 1.30 am on Thursday, was still attached to life support. "The death of the brain and absence of breathing - that's the modern technical definition of death. Existing medical technologies give a chance to keep the body alive for several days on artificial ventilation. This is done for relatives to have time to say farewell. But it is a state of no return. There has not been a single case of revival after the death of the brain," Volozh wrote in the Yandex blog. The news that he had been disconnected from life support on Saturday appeared early on Sunday morning in the Russian media. According to ITAR-TASS, Ochir Mandzhikov, a representative of the company, confirmed that the Russian entrepreneur had died in London, where he was receiving treatment, and that his funeral is due to take place next Thursday. Following the announcement of his brain death, various sources had reported that Segalovich had been diagnosed with a treatable form of stomach cancer. "The disease was not at a critical stage, and the entrepreneur successfully fought with the cancer for a while,” Forbes reported quoting Yandex representatives. Volozh added that another tumor had been discovered in his head last week. The cancer subsequently spread to his meninges. “Malignant meningitis caused irreversible consequences - his brain burned out in less than a day," Volozh wrote. On July 18 Segalovich had unveiled a new search platform (Yandex "Islands") with the Turkish partners of the company. It was his last public appearance. The Russian internet reacted instantly to the news of Segalovich’s death and the news feeds on social networking sites were filled with messages in his memory. Many prominent figures spoke out and expressed their condolences. “He was the ‘ideal capitalist’ — earned money with his head and work, was personally involved in charity work and did not fear to openly support political projects,” wrote opposition activist and mayoral candidate Alexei Navalny in his blog. Navalny remembered Segalovich as “the most important pillar of the IT industry in Russia” and commended him for his involvement in making politicians accountable through the creation of a mobile application for election observers. Navalny said that the last time he saw Segalovich was at a May 6 march dedicated to political prisoners. "He came with all modesty, [dressed] in a gray jacket with a hood — fond memory. He was very good,” Navalny wrote in his post. "He was an infinitely kind, sympathetic and friendly man, who could not be spoiled by either fame or money, or investor relations,” Internet guru Anton Nosik, often referred to as one of the fathers of the Runet, wrote of Segalovich. Segalovich was born in a family of geologists in Nizhny Novgorod (250 miles east of Moscow) on the Volga River (called Gorky at the time). He spent his childhood and attended school in Kazakhstan. While studying at the Republican Physics and Mathematics School in Almaty, Kazakhstan, Segalovich met Arkady Volozh. After high school, their paths diverged for a while; Segalovich joined the Geophysical Department of the Moscow Institute of Geological Exploration, and then worked at the Institute of Mineral Resources. In 1993 the two friends came up with the idea of Yandex — “the quickest search engine for the end user”, as Segalovich described it. The first version of the program, a local search engine at the time, appeared in the fall, and two years later Segalovich and Dobkin decided to make a search engine for the Internet. It was launched in 1997. 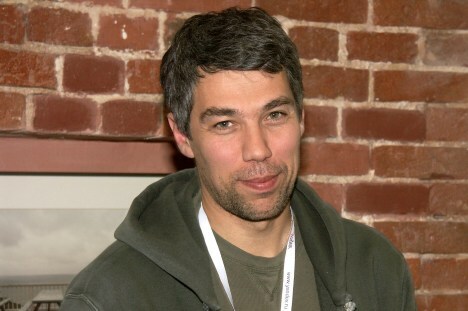 The Yandex company was created by Segalovich and Volozh in 2000. Segalovich achieved his goal. In 2011 Yandex successfully entered the IPO market with a capitalization of more than $8 billion. By 2013 Segalovich was serving as technical director of the company, owned 2.5 percent of the capital and had joined the board of directors. In 1993, Segalovich and his wife Mary founded the "Children of Mary" charity to help orphans receive an education and employment through social and psychological rehabilitation. “I translated all seven volumes of the story and read it aloud to my children. I would like some kind of miracle, a magic time wand, and for all orphans to be taken into families. For this invention I would pay any amount of money,” said Segalovich.